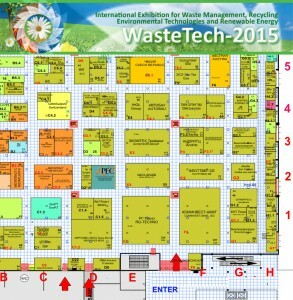 Exhibition center Crocus Expo will hold waste and environmental technology trade show WasteTech-2015 on 26-28 May in Moscow, where TDP-2-200 will be showcased at IPEC booth. Thermal Decomposition Plant implemented an emerging technology in the field of renewable energy and waste management. It is designed for the processing of hydrocarbon-containing solid waste: rubber products, plastics, used tires into valuable products: gas, solid and liquid fuels. The essential advantages are mobility, eco-friendliness, low energy consumption and continuous mode operation. Company’s stand D2.1. will be located in hall 8, pavilion 2 in Crocus Expo, Moscow on May 26-28, 2015.